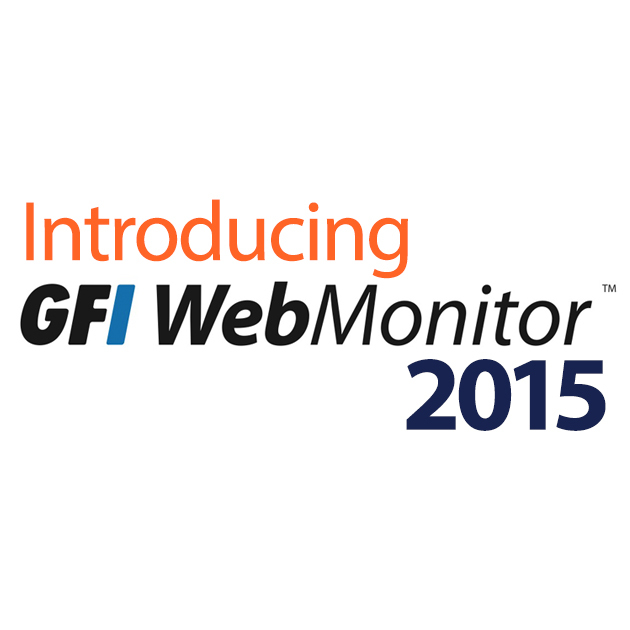 What's new in GFI WebMonitor 2015? 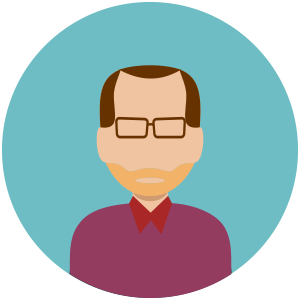 Q: Calin, simple question: what is GFI WebMonitor and what does it do? 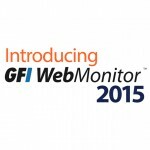 GFI WebMonitor is a web filtering, management and security solution for administrators. It is fast, scalable, easy to use and configure. It enables IT admins to give employees the freedom to use the Internet while putting controls in place to prevent malware infections, bandwidth misuse, productivity loss, data loss, time wastage and more. To do this GFI WebMonitor takes a multi-layered security and management approach by combining web filtering technology, with malicious URL detection, application control and anti-virus /anti phishing protection in order to monitor, manage and secure Internet activity. Q: What’s new in version 2015? Our 2015 version has been rebuilt to benefit from the latest technologies and to provide IT admins with the next generation of web filtering and security software. We have introduced application control, which allows admins to monitor and manage applications communicating on http(s) ports. This important feature comes within the newly developed core engine. This engine has been optimized across the board, features 64-bit support and overall performance has been increased by a factor of three. Last but not least, the user interface has received a major upgrade. We listened to our customers and have designed a new interface that greatly improves the user’s experience from installation to policy configuration and reporting. Q: Why is application control important? A security risk. For example, online file sharing or messaging applications may lead to date leakage or malware infections. A possible liability. We cannot ignore the fact that misuse of these applications could pose a legal risk to the business. One example is the transfer of copyrighted content or intellectual property through file transfer or communication apps. Thus it is a necessity that these apps are managed; and this is the challenge for IT admins. These apps use http(s) protocols and ports, the same protocols used by web browsers. This means that a firewall is not much help in controlling their usage. The only way to do so is using technology that we’ve implemented in GFI WebMonitor 2015 – that can detect requests belonging to specific applications and manage their access to the internet based on the policies configured by the IT admins. Q: Can you give an example of such an app? Yes, the first one that comes to mind is Google Drive. It is a popular application, used both on mobile platforms and endpoints, which enables online storage (DLP risk) and file sharing (malware infection risk) and relies on http(s) port 80 for communications. You cannot control discretionary and granular access of such an application on a per-user, time window, or bandwidth usage basis without the technology we are using. Q: Does WebMonitor 2015 support managing mobile applications as well? Yes. So long as the traffic passes through GFI WebMonitor, it does not matter if the application runs on a computer or mobile device. We support monitoring over 1,000 applications and manage around half of them directly. The other half my revert to using different protocols and ports that we cannot control at the moment, but with adequate firewall configurations forcing them to use http(s), they can be managed as well. Q: You mentioned ‘better performance’. How exactly? In raw numbers, three times faster processing means we can handle three times the number of requests per hour and/or three times the traffic (in GB) per hour without impacting browsing experience. This means that on average server hardware, GFI WebMonitor can handle more than 1m requests or more than 30GB of traffic per hour. This is a significant increase in performance. Q: Why is usability and user experience so important in this release? We know that similar products are usually complex and are difficult to install and configure – and use effectively. This happens because of the numerous parameters that need to be configured, the sheer volume of information that needs to be processed, analyzed and displayed, and the complexity of the data that is generated on the user interface. Turning 1m requests into intelligible and actionable information on a dashboard / UI is never an easy task. That is why we give so much importance to usability and user experience. A lot of our effort in this version centered on implementing UI changes that make it easier for our customers to use the product to its maximum potential in the fastest and easiest way possible. Q: What’s new in terms of UI? We are introducing a new main dashboard that shows key metrics on Internet activity in real time. Further detail is available when drill-down dashboards are used; each one has been designed for specific use cases. We also introduced a new filtering interface that makes it easier to trace one’s steps when using the drill-down menus. The next major update is policy. Policies are at the core of the product because they translate the IT admin’s requirements into actions that the product needs to complete. We have built a new unified policy system that centralizes the different parameters into a single view, and has a drag and drop interface for creating main policy settings. A summary page gives a “one glimpse” view of what that policy does. Other improvements include a real-time online help system, post install wizard, a new notifications center and overall simplicity in doing everyday tasks with the product. Q: Why should customers buy GFI WebMonitor? It’s a great product. We have leading web filtering technology, website categorization and reputation, and now application control. 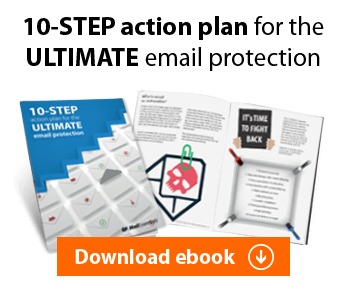 From a security perspective, protection is top-notch thanks to traffic scanning using up to three antivirus engines (helps prevent zero-day threats), malicious URL filtering – based on two different databases – and anti-phishing technology. Customers can combine all these technologies in multiple ways and apply additional exceptions or restrictions based on time interval, or bandwidth consumed. Or just try it out for free and see for yourself!